I was sitting in an Alcoholics Anonymous meeting the other day - it was a women’s only meeting - and I was struck by how honest, vulnerable and REAL everyone’s shares were. I wondered if I had been to any Catholic women’s gatherings where we all shared in such an open, authentic way. Cutting through how others might perceive us to share our deepest, darkest fears, worries and secrets. I couldn’t think of a time where even I did that. "I was sitting in an Alcoholics Anonymous meeting the other day - it was a women’s only meeting - and I was struck by how honest, vulnerable and REAL everyone’s shares were. I wondered if I had been to any Catholic women’s gatherings where we all shared in such an open, authentic way." I save those for my 12-Step groups where it feels like everyone is coming from the bottom up - so grateful to have fallen into such a state of despair and be met with hope and light from strangers. It almost seems that there is a sense of rejoicing to see how far we’ve come rather than a shame of how far we still have to go that I am so often met with in religious circles. In these rooms, I have been privy to some of the greatest of human suffering because there is space carved out to hold it. Do you ever feel like if you shared what was actually going on in your life, other Catholic women would be horrified and kick you out? Oh goodness, I have been there. It is much easier for me to tell you about the amazing man that I am about to marry than to tell you that I will walk down the aisle having lost my virginity many moons ago while I was too drunk to know what was happening. That last sentence took me 10 minutes to write because even now, I worry about the judgment that might pass through you as you read it. My experience has been that when I share that pain with a Catholic friend, she unconsciously moves her shoulders away from me and her shock turns to pity. But when I share that with my friends in AA, they say “we’re so glad you’re here!” and share with me a relatable story and give me hope. Here’s what I’ve learned. Vulnerability opens up vulnerability. And shared vulnerability breeds connection and connection BLEEDS love. We need to flood our lives and hearts with love. We need each other just as Jesus needed his 12 friends. I need you and you need me. "Vulnerability opens up vulnerability. And shared vulnerability breeds connection and connection BLEEDS love." I got a message a few months ago from a woman detailing something horrible that happened to her and she had no place to turn. Those in her community had shunned her and abandoned her. She reached out to me because I had shared my own story and she felt that I was a safe place to turn. I was saddened to hear that those in her local Catholic community took a stance against her, but I sadly wasn’t surprised. I listened to her and I said, “I am so sorry that this happened to you, but there is hope and light on the other side.” I could dig in and touch the saddest, darkest part of myself, and speak to her from a place of personal experience and companionship rather than from a place of authority and pity. "I listened to her and I said, 'I am so sorry that this happened to you, but there is hope and light on the other side.' I could dig in and touch the saddest, darkest part of myself, and speak to her from a place of personal experience and companionship rather than from a place of authority and pity." Only because I had vulnerably shared my journey on social media, did she know I was a safe person. But that’s the thing - my story is not your story. You have to figure out what your story is, your true self. You have to wrestle and grapple with your own darkness before you can share it with us. In the Pope’s latest Apostolic Exhortation, he says something about how each of our unique stories reveals a new part of God! So what is it that God revealing through you and your life? I really believe that the life, death and resurrection cycle is continually happening in our lives. To share in the beauty of the seemingly mundane of daily life, to share in the pain of little deaths (break-ups, addiction, miscarriage, doubt, failures, etc) and to share in the JOY of the light that comes after the darkness. There I find the story of Jesus, I find connection and I find love. So as Catholic women, let’s encourage each other to really share. Not to cover it up with vague words that dance around the truth. To share not for pity, but for true connection and hope, friendship and encouragement. As Catholic women let’s build community that values openness, vulnerability, compassion and love. The Kingdom of Heaven is at hand, my friend! "As Catholic women let’s build community that values openness, vulnerability, compassion and love." I live in Los Angeles, California and I grew up in Phoenix. I went to college at DePaul University in Chicago, was a Heart’s Home volunteer in Salvador da Bahia, Brazil and then lived and worked in Brooklyn before moving to California. I am engaged to be married on the Feast of the Immaculate Conception, December 8, 2018 to my fiancé, Paul. I started my design studio, Be A Heart, in 2015 and many people know my work as the designer for Blessed is She. I’m currently working on the final edits for a bathing suit (!!!) that I designed over the past two years and it is completely exhilarating and scary at the same time. The Lord has been so gentle in my life and I hope my story reveals His forever faithfulness. As millennial Catholic women, what are practical some practical ways we can be more compassionate and welcoming of others, in our day-to-day lives? This might be a three-fold answer. I have found that as I have been more compassionate and welcoming towards myself, that has translated to being more compassionate and welcoming of others. If I accept my shortcomings, my small hypocrisies, my powerlessness, then I can accept that in those around me. Lastly, I think finding places where we can be of service is also important. Reaching out to those in need with our time, talents and gifts is a call of the Gospel. Making going regularly to the same nursing home or visiting the sick or elderly from your parish, volunteering at an inner city school, spending time on skidrow or whatever draws your heart. The times of service that are relationship oriented, where you can form friendships and find out their stories and be a listening ear. Soup kitchens are great, but can create a sense of me versus you. I love the Catholic Worker houses because you serve food, but then also can sit with them in the courtyard to talk and know each other. Those are all experiences that create a compassionate heart. What would you say to women who struggle with being too judgmental of others and with gossip? Do you have any advice on how we can check ourselves to make sure we’re not falling into sin, in this way? I have been reading and hand lettering Pope Francis’s Apostolic Exhortation on Holiness the past few months. In one section he is sharing about the Beatitudes and speaks directly to gossip when speaking of the peacemakers. He said we too often think of war and peace, but that we ourselves bring conflict or misunderstanding with gossip and judgment. So I think the work is in opening the mind and heart and praying for divine grace to form them. To the woman who feels like there isn’t a place in the Church for her because of her past — what insight of yours would you lend her? The great thing about Catholicism is that there are so many different communities. The Franciscans have a particular call and so do the Benedictines, but they are both Catholic. It’s not a one size fits all Church, but with that, it does take time, effort and commitment to find a place that feels like home for you. When my fiance and I first started dating, we went on a search for a parish that we both enjoyed. I will say, I saw the Church so differently through my non-Catholic boyfriend’s eyes. The committed search paid off and we found a parish that we are both excited to attend on Sundays. There we found like-hearted people who accept us and love us as we are. 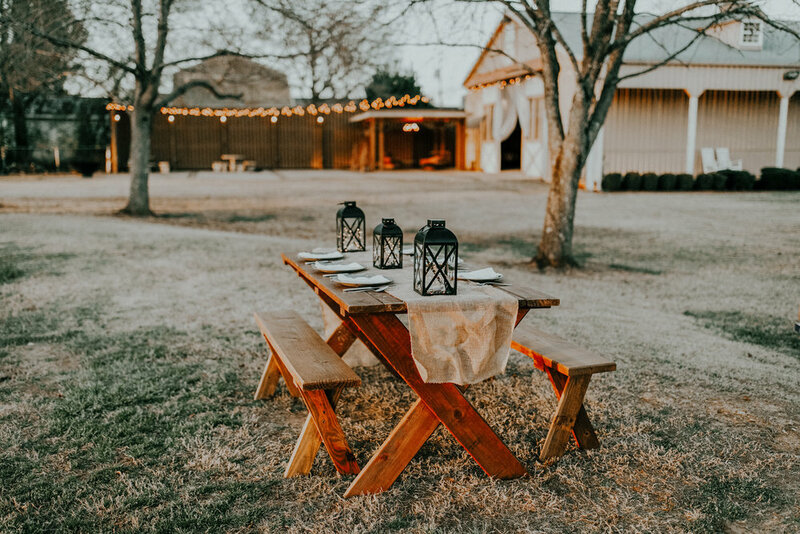 Find the spaces and people who extend the table and invite everyone to pull up a chair rather than the places that make their table exclusive and small. They exist and have a spot waiting for you. can I say Dorothy Day? She is only currently a Servant of God, but I so admire her ruthless nature and even with a child out of wedlock, God used her to make waves of love in this modern world. I sit quietly and bask in God’s love for me. the writing by Pope Francis on Holiness that I keep writing about. Working on making it really beautiful so that everyone reads it because it.is.so.good.